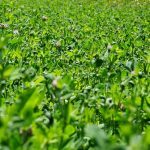 Premium Red and White Clover. 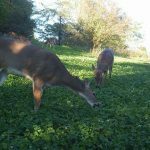 Give your herd a high energy food source with this blend. It is also an attractive to pollinating insects such as bees and butterflies. This added attraction will also be beneficial for other game animals such as Turkeys who will feed on the bugs as well as the plants. Make this a year round destination plot to bring them where you want them to be! Shredding or mowing the first year is essential to a get a good stand because it helps eliminate competition from weeds. 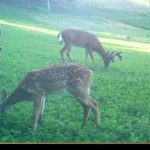 A selective herbicide such as Poast may be used to control grassy weeds in the 2nd year of the stand life. Diverse perennial mix for diverse ages. 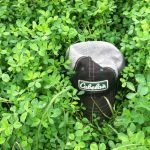 Mix includes: High Quality Alfalfa, Premium White Clover, and Premium Red Clover. Planting Date: April 10 to May 15 or August 1 to September 1. 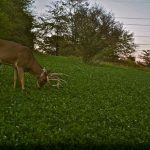 Take a look at the plot planted by All Things Whitetail.